Apple might not be present at CES revealing its next line up of devices but a rumor has emerged from tech world which has excited a number of fans and critics. Apple is secretly working with Zeiss as per the insider news offered by an unnamed employee. Apple is developing a working pair of augmented reality or a mixed reality glass which is expected to make its debut in 2018. This particular employee further pointed out that Zeiss has made its booth right in the middle of the AR section even though it doesn’t have AR, VR or mixed reality optics to showcase at the event. Now it is been widely speculated that Zeiss was gearing up to unveil the so called AR glasses with Apple during an event but the cat is out of the bag now. Zeiss is already developing special optics for the VR One Plus. This special optic is designed to turn any kind of smartphone into a Virtual or augmented reality system. 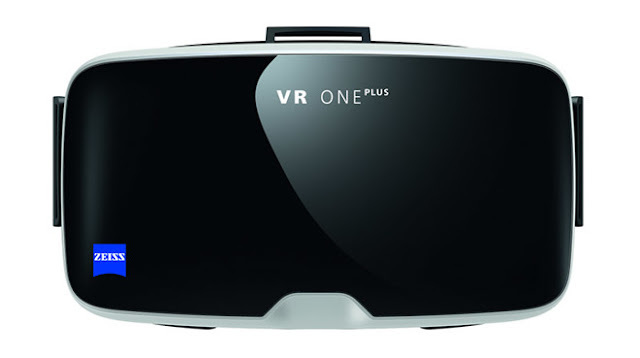 One Plus isn’t the only one to offer high quality VR headsets to the consumer Microsoft, Samsung, Google and a number of other companies has also emerged in this field with their own dedicated devices. This rumor generated by the Zeiss employee however gives rise to the speculation Apple is trying to build its own dedicated hardware which will help it in reigning as a supreme leader in the VR/AR market in future. This tie in is a smart step on part of Apple to focus on core development not just VR devices but carefully integrating with it three different operating system namely iOS, Macbook OS and Apple TV OS. In November 2016, a noted analyst has made a prediction that Apple is actively working on a holistic AR solution. It was rumored that Apple is creating this as a standalone system which will take around to turn into reality in next one to two years. Till now it isn’t clear what Apple is working in the field of AR. Augmented reality has become a craze with the successful launch of Pokemon Go game on the Android platform which showcases one of the possibility of AR. Apple move in the AR technology can be seen as a calculated way of improving and enhancing the user experience on the iOS and Apple TV OS devices. Even Apple CEO has confirmed Apple tryst with the AR development as it is evident from the way Apple is quietly enhancing the internal AR team by making strategic hiring and essential segment purchases. Quite recently Apple has acquired ‘Faceshift’ (Motion capture specialist), ‘Perceptio’ (machine learning and computer vision startup, Flyby Media and Metaio (a German AR firm). Apple is working with these to increase the potential development of its transparent displays, AR Maps, VR headsets for iPhone and much more.